I’ll be needing these beauties! So these are taking sports luxe to a whole other level. 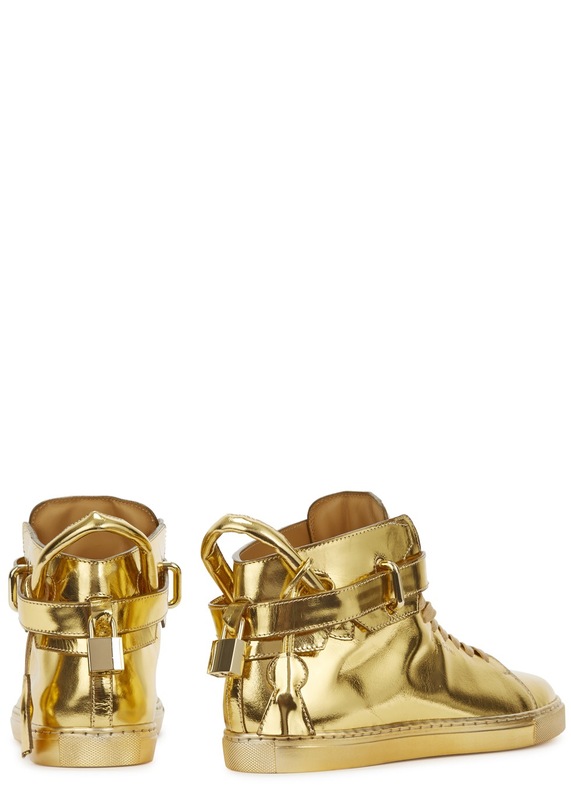 Buscemi’s metallic leather trainers are available in Harvey Nichols in Dundrum. 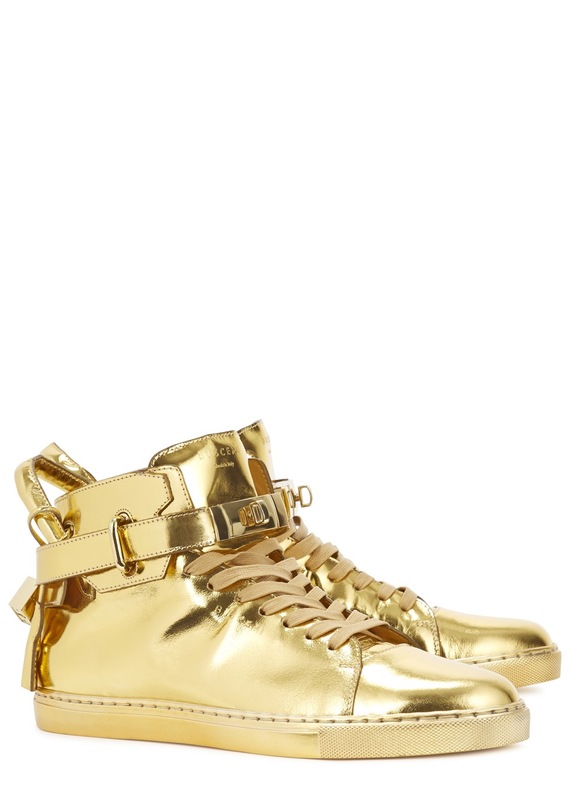 These mega trainers have actual 18kt gold-plated hardware and hand painted edges. Using only traditional techniques and the finest Italian leather, Buscemi offers a style where every detail is thought out, from soles featuring a heat treated tonal matching paint to reduce the appearances of wear, to the matching hardware and a 3 piece mechanical closure and lock. They are quite possibly the most beautiful shoes ever! They cost a pretty penny too, €1,125.00, Glenn said no way so I’ve asked Santa! They were totally made for me! Next PostExciting new face for Estée Lauder?? ?